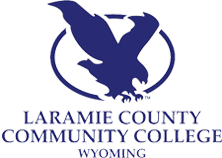 Bienvenidas to Laramie County Community College! On behalf of the LCCC family, it is my great pleasure to continue the tradition of hosting the Wyoming Latina Youth Conference! Our Latina and Latino community is a growing and ever-important part of our community, Laramie County, and Wyoming, and for that reason I am honored to have your presence on our campus for this year’s conference. The American dream is still alive and well here in Wyoming. While opportunity still exists for the first time in generations, grabbing that opportunity will require rising to the challenges that may stand in our way and have unfailing hope for a better future. This is true of every community, but especially for women of color, even more so when they do not necessarily have the support structure to help them tackle these challenges. Yet there is hope. At LCCC, our Latino student population is growing, and more importantly, we are seeing more and more students from ethnic backgrounds earn their degree, go on to the University or become employed in a rewarding career. These individuals are inspirations to me, and I hope they will be inspirations to you and your families. Higher education will be your key to experiencing a productive, self-fulfilling life. It is estimated that more than two-thirds of all jobs in the future will require some education or training after high school. We also know that college graduates are more likely to be involved in their communities, to volunteer, and to lead healthier lives. And probably most importantly, we know that the most significant indicator of whether or not a child will go on to pursue a higher education is if their parents or family members did so. Your journey and ultimate success in college will not only be yours, but it will likely lead to the success of those around you. 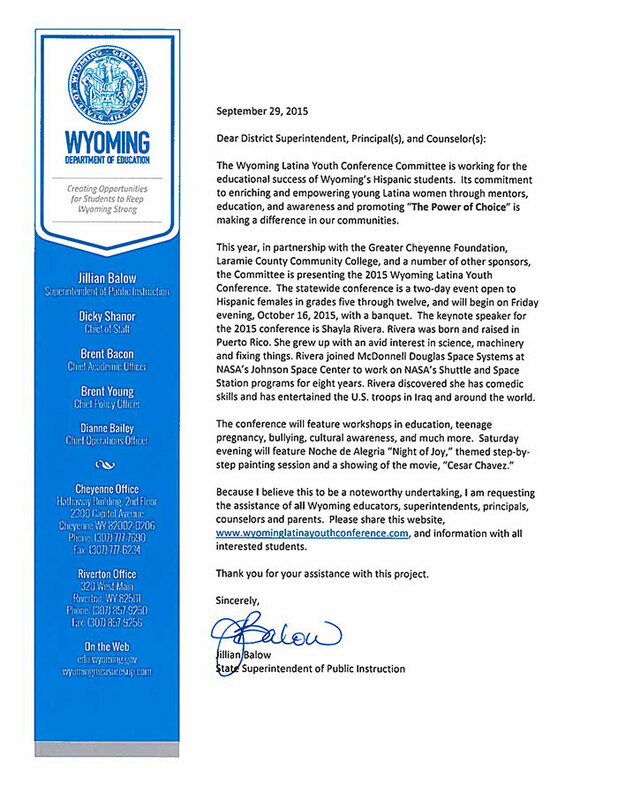 LCCC is happy to support you in your preparation for the future, starting with the Wyoming Latina Youth Conference. 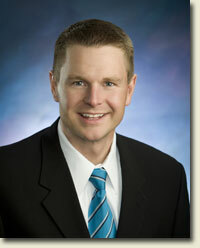 I wish you the very best in your future and applaud your participation in this worthy event!